This is a photo from a new display at the Polk Museum of Art in Florida – and is probably the coolest thing I’ve seen so far pertaining to Flashlight Night! 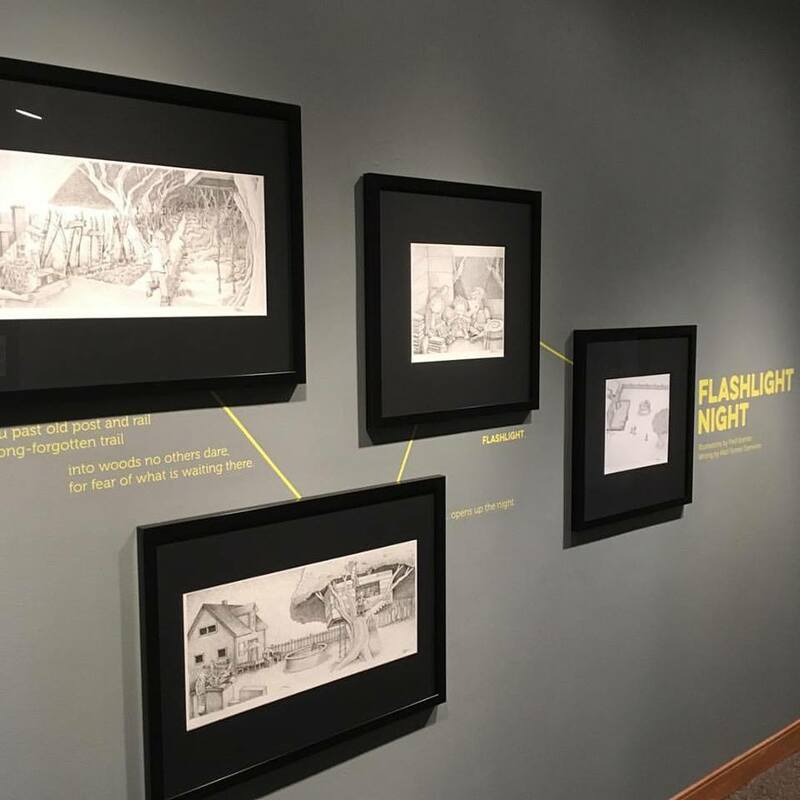 Each original piece of artwork for the book is displayed with the text beneath it; viewers are guided along so they can “read” the book as they marvel at illustrator Fred Koehler‘s work. If someone had told me 5 years ago that my words would end up on a museum wall, I’d have told them they were nuts. The bathroom wall, maybe – but not the actual museum’s wall. But what do you know. Matt: The museum display is really really cool!!! Just got my copy of Flashlight Night yesterday… sorry I’m too far to get it signed, but I must say, it is fabulous! I will take it to my book group so others might consider buying it for grandkids. Congrats again! Thank you so much, Karen, I appreciate that!